Bring in the department heads. On a night that saw numerous comments and questions about city works projects, that’s exactly what Sue Wienke asked the council to consider Monday. “Could we possibly have a format change where we could have department heads to answer questions at the time of when these meetings are attended?” Wienke asked. “I have a lot of questions,” she said. “I, for one, would like to know who is in charge of the department that takes care of road maintenance, paving and that such,” Wienke said. She cited a stretch of Carlton Place that goes from East Avenue to Walnut Street as an area that needs attention. “It was torn apart I think for a sewer or water reworking a few years back and that street has never had any attention in any way to fix what was torn up,” Wienke said. “Rather than the mayor or the alderman having to answer for what they are doing,” she said. “They are employees as much as you guys in as much as they know what’s going on with their department,” Wienke said. Later, Mayor Anne E. McCaffrey said during her comments that she agreed with Wienke. “I think that would be a great idea,” McCaffrey said. This is a format followed in other municipalities. For instance, at Town of Wheatfield’s bi-monthly meetings, department heads from highway, sewer, engineering, recreation and the senior center all make reports to the town board. “That’s a good discussion,” she said. “We have spoken about it before. Maybe quarterly we could bring them in,” McCaffrey said. 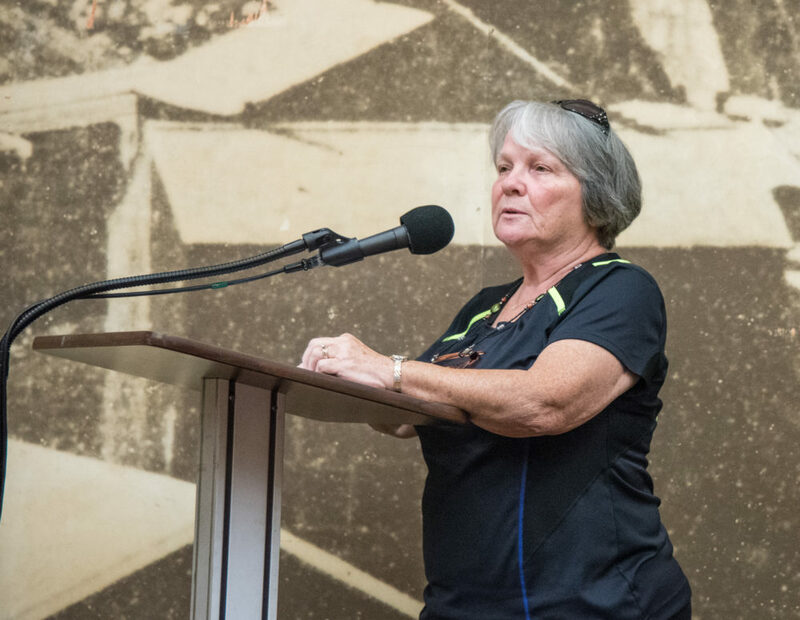 “I know there are times when you all in the audience might have a question that our department head has a better answer than me or one of the other council members,” she said. McCaffrey also mentioned an idea by councilman Kenneth Genewick to hold an open house at city hall featuring department heads ready to field questions. Wienke said that will help residents and the city. “Maybe if we had people here talking about our finances rather than being dictated to by the mayor or whatever they say that’s happening maybe we would know the situation we are in before it came to a dire emergency,” she said. “Even if the fire department or police department could answer to citizens in the city maybe that would help us rather than going back and forth and back and forth,” Wienke said. “And we think we know the answer but we don’t know the answer,” she said. In other matters, resident Russel Bruning inquired about the plowing of new sidewalks by the community pool at Towbridge and Corinthia streets. “Who is going to take care of the sections that don’t even have houses on them?” he asked. The mayor responded that the school district is taking charge of winter maintenance of the sidewalks. “That was part of the school district’s projects,” she said.